(CNN) Opioid drugs — including both legally prescribed painkillers such as oxycodone and hydrocodone, as well as illegal drugs such as heroin or illicit fentanyl — are not only killing Americans, they are shortening their overall life spans. 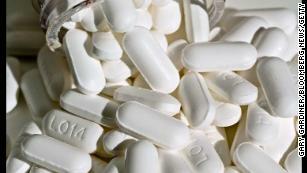 Opioids take about 2½ months off our lives, according to a new analysis published in the medical journal JAMA. In 2015, American life expectancy dropped for the first time since 1993. 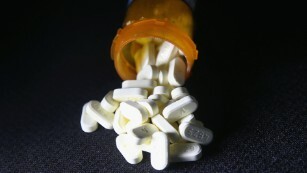 Public health officialshave hypothesized that opioids reduced life expectancy for non-Hispanic white people in the United States from 2000 to 2014. Researchers have now quantified how much opioids are shortening US life spans. The researchers noted that the number of opioid overdose deaths are probably underestimated because of gaps in how death certificates are completed. From 2000 to 2015, death rates due to heart disease, diabetes and other key causes declined, adding 2¼ years to US life expectancy. 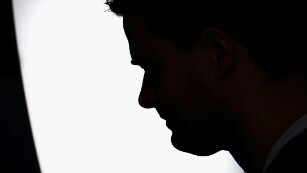 But increases in deaths from Alzheimer’s disease, suicide and other causes offset some of those gains. On average, Americans can now expect to live 78.8 years, according to data from 2015, the most recent data available. That’s a statistically significant drop of 0.1 year, about a month, from the previous year. Women can still expect to live longer than men — 81.2 years vs. 76.3 years — but both of those estimates were lower in 2015 than they were in 2014. Life expectancy at age 65 remained the same in 2015. Once you’ve reached that age, you can expect to live another 19.4 years. Again, women fare slightly better: 20.6 years vs. 18 years for men. Drug overdose deaths are expected to continue to reach new record highs. The Centers for Disease Control and Prevention expects drug overdose deaths to top 64,000 in 2016 when the numbers are finalized — that’s more than the number of American troops lost during the Vietnam War. Most of these overdoses involved an opioid. Since 1999, the number of opioid-related drug deaths has more than quadrupled. While prescription opioids like oxycodone or hydrocodone were considered to be driving factors in the increasing rates of overdose in the early part of the 2000s, heroin and illicit fentanyl have become the drivers for opioid overdose deaths in recent years. In fact, the number of overdose deaths related to fentanyl is expected to more than double, from an estimated 9,945 in 2016 to 20,145 in 2017, the CDC says. For the first time, fentanyl will be the leading cause of opioid overdose. On the heels of the release of a draft report of the President’s Commission on Combating Drug Addiction and the Opioid Crisis, over the summer, President Donald Trump said “The opioid crisis is an emergency, and I am saying, officially, right now, it is an emergency. It’s a national emergency. Yet, five weeks have passed since Trump’s statement, and the White House has yet to make any sort of formal announcement of a national emergency. Many public health officials point to the over-prescribing of narcotic painkillers as one of the roots of the opioid overdose epidemic. Last year, the CDC issued prescribing guidelines for using opioids to treat chronic pain. According to a recent government report, the No. 1 reason people misuse prescription drugs is to manage pain. In an attempt to help deal with the pain issue, the Trump administration is partnering with private pharmaceutical companies to help fast-track non-opioid, non-addictive pain relief alternatives. (CNN) In a new effort to tackle the deadly opioid addiction crisis in the United States, pharmacy giant CVS announced Friday that it will limit opioid prescriptions to seven days for certain conditions. This restriction will apply to patients who are new to pain therapy. The new pharmacy program will also limit the daily dosage of pain pills based on their strength and will require use of immediate-release formulations before extended-release opioids — intended for severe, long-term pain treatment — are dispensed. The changes will roll out February 1 and cover all commercial, health plan, employer and Medicaid clients. CVS, which manages medications for nearly 90 million plan members, is one of the largest pharmaceutical chains in the US, with approximately 9,600 CVS Pharmacy stores and more than 1,100 walk-in medical clinics. “With a presence in nearly 10,000 communities across the country, we see firsthand the impact of the alarming and rapidly growing epidemic of opioid addiction and misuse,” said Larry J. Merlo, president and CEO of CVS Health. From 1999 to 2014, sales of prescription opioids in the US almost quadrupled, according to the US Centers for Disease Control and Prevention, yet there has been no change in pain reported by Americans. CVS said its pharmacists will counsel patients with opioid prescriptions about the risk of dependence and addiction based on CDC guidelines. These educational sessions will also emphasize the importance of keeping medications secure in the home and proper disposal of unused medications. To help patients wanting to follow these guidelines, the company will almost double the number of drug disposal units in its Medication Disposal for Safer Communities Program from 800 to 1,550 kiosks. This expansion will begin this fall with locations in Florida, Massachusetts, North Carolina, Pennsylvania, South Carolina and the District of Columbia. These moves put CVS’s pharmacy program more in line with the CDC’s opioid prescribing guidelines. Express Scripts, the country’s largest pharmacy benefits manager, has similar limits in place. “I think it’s going to be helpful. I think it’s going to be impactful,” said Dr. Andrew Kolodny, director of Physicians for Responsible Opioid Prescribing, who saw the announcement as more than a public relations move. “It will be expensive. … This will be a real administrative burden” for CVS, he said. Studies have found that longer prescription durations, as well as higher dosages, increase the likelihood of chronic use. CVS’s steps are meant to curbnot just potential long-term opioid use but also potential opioid misuse. “There are millions of prescription bottles sitting in our bathroom cabinets and on our bedroom nightstands right now, including far too many prescription opioids that ultimately are used non-medically,” said Dr. Caleb Alexander, co-director of the Johns Hopkins Center for Drug Safety and Effectiveness. “We’ve been watching the epidemic get worse, hidden in plain sight, for far too long, and these types of policies are necessary to reduce the incredible oversupply of prescription opioids,” Alexander said. The American Academy of Pain Medicine “supports any initiative that would help limit the effects of over prescribing medications or leading to excessive unused medicines that could lead to harm to a patient or family members or their community,” said Dr. Steven Stanos, president of the academy. Stanos worries that CVS’s recommendations could be interpreted too rigidly and affect patients. “We would want it to balance the needs of the patient and doesn’t intrude on the relationship between the patient and the physician and how they made that decision,” Stanos said. It’s a sentiment echoed by Dr. Patrice Harris, chairwoman of the American Medical Association’s opioids task force. “When patients seek physician help for an opioid use disorder — or need comprehensive care for chronic pain — one-size-fits-all limits, such as blanket prior authorization protocols, may cause delays in care that could severely harm patients,” she said. CVS said its guidelines are flexible and recognize that there maybe situations that require more than a seven-day prescription or a higher-dose opioid. For times like those, physicians will be able to seek exceptions. CVS is also committing $2 million to federally qualified community health centers that provide medication-assisted treatment and other addiction recovery services. The President’s opioid commission says that about 142 Americans die every day from a drug overdose, equal to the death toll from the September 11 attacks every three weeks. Most of those overdoses are from opioids. Though there were over 30,000 fatal overdoses from opioid drugs in 2015, public health experts believe that for every fatal overdose, there are 30 non-fatal overdoses. That would mean over 900,000 overdoses in 2015 alone. According to the CDC, drug overdoses are the leading cause of unintentional death in the US. The opioid epidemic is pushing down the life expectancy in the US, new research says. Once a leader in longevity, the US has dropped behind most other high-income countries — due in large part to accidental deaths from prescription and illicit opioids that are sweeping the country. From 1970 to 2000, life expectancy in the US rose by about 2.5 months every year. If that rate had kept up, people born in the US since 2015 should expect to live longer than 79 years. But the annual increase in life expectancy slowed starting in 2000, and stopped altogether in 2014. That’s mostly because the rising death rate from drug overdoses shaved more than three months off life expectancy in 2015. Three months may not seem like much, but that’s roughly the same reduction attributable to rising death rates from injuries, Alzheimer’s, suicide, chronic liver disease, and sepsis combined. To figure out what accounted for the slowdown, scientists with the CDC analyzed information from death certificates registered in each state. They figured out causes of death, death rates, and life expectancy. There was some good news: death rates from heart disease, cancer, strokes, the flu, kidney disease, and lung diseases had dropped. But deaths from drug overdoses had skyrocketed — more than 52,000 people died of overdoses in 2015, up from more than 17,000 people in 2000 — and most of that increase was from unintentional opioid-related deaths. That number could be even higher, the study authors write, because death certificates don’t record the drug responsible for an overdose as much as 25 percent of the time. The findings echo previous analyses of the CDC’s mortality data by The Washington Post, which found rising death rates for people between the ages of 25 and 44 in nearly every state, for almost all races and ethnicities. “After a century of decreases, the overall death rate for Americans in these prime years rose 8 percent between 2010 and 2015,” the Post reported. The increase was primarily due to overdose deaths and alcohol abuse — and experts say that Fentanyl, a powerful synthetic opioid, is largely to blame. Last month, President Donald Trump said he was going to declare the opioid crisis a national emergency, which would unlock funds and resources to help states deal with the epidemic. The administration has yet to file the paperwork.